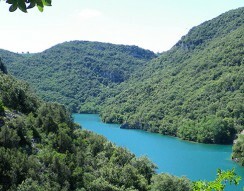 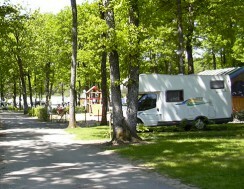 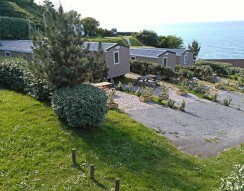 Romany caravan holidays hire in France: enjoy your stay in a gipsy caravan! 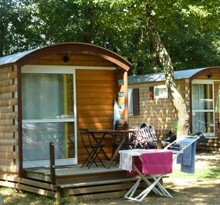 These beautiful gypsy-style caravans with their curved roofs and coloured woodwork make charming and comfortable holiday homes. 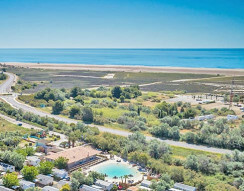 Redolent of a slower-paced, bygone era, they are nevertheless fully equipped to meet your holidays needs: Two separate bedrooms for parents and children, a modern kitchen area (fridge, 4-burner hob, microwave, coffee maker, toaster, etc. 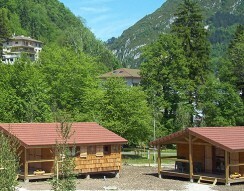 ), bathroom with shower and wash hand basin and separate toilet. 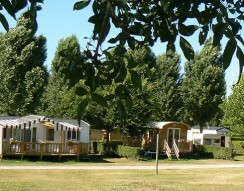 Try camping in a romany caravan : all modern conveniences in a charming, romantic setting for unusual camping holidays. 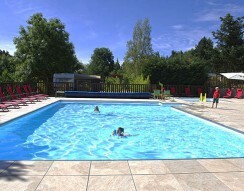 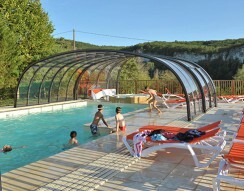 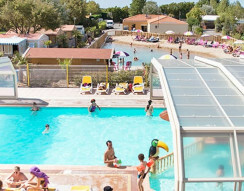 Set on the banks of the River Dordogne, the campsite offers access to a wide range of outdoor activities and historic sites and monuments as well as the lovely local villages.